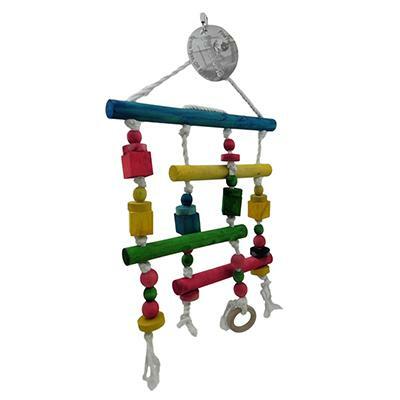 The Parrotopia Double Decker bird toy is ideal for medium to larger birds. 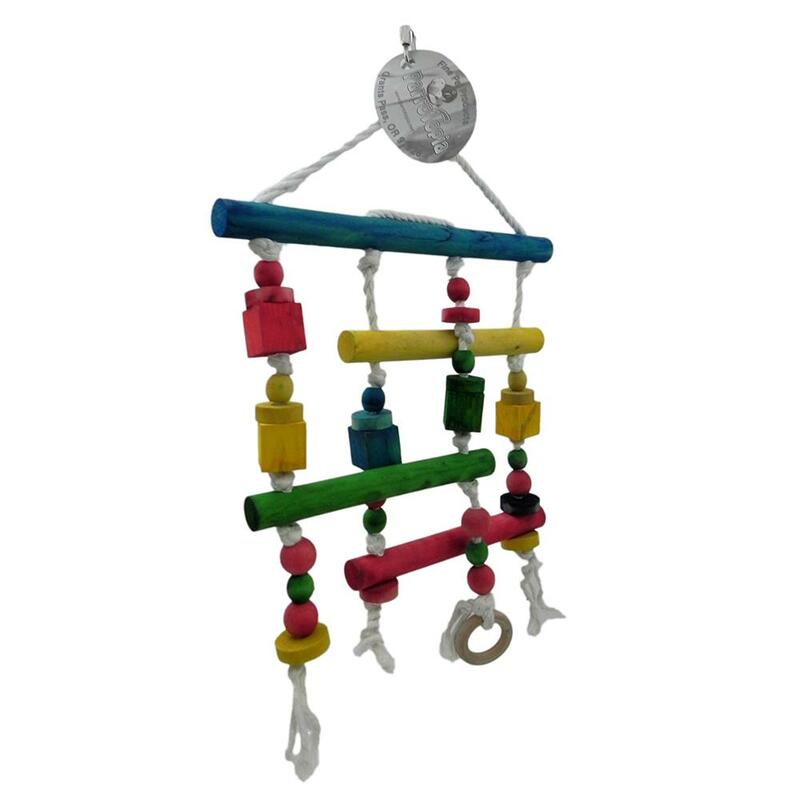 Features a long wood dowel suspending colorful wooden shapes and dowels on cotton ropes. Measures roughly 12 x 16-inches.